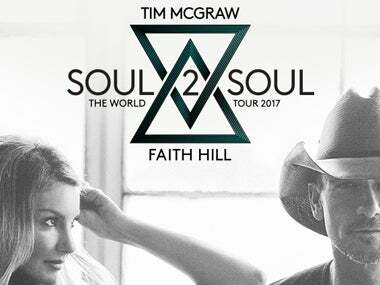 The moment you've all been waiting for — country music's favorite couple Tim McGraw and Faith Hill are set to release an entire joint album! While this is a first for the beloved duo, they're all too familiar with collaborating over the years. McGraw and Hill have won two Grammys for best country collaboration in 2001 for "Let's Make Love" and again in 2006 for "Like We Never Loved At All." (They have had four other songs together nominated for Grammys). The couple has served as coaches together on NBC's "The Voice", and are set to kick off their "Soul2Soul" tour together on April 7, which includes a stop at Golden 1 Center, July 28! The first single from their new collaboration, called "Speak to a Girl," will come out this Thursday, March 23. You can catch the song's television world premiere during a performance at the Country Music Awards on April 2. We just announced all of our tour openers & added more dates. That was so fun! Soul2SoulTour.com for details!